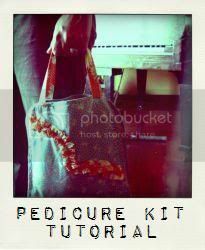 Pickup Some Creativity: Pedicure kit, anyone? So, who guessed my SYTYC bath time entry???? Hopefully the surprise isn't totally ruined, Mom. I also made one for my mom in law, too. Her slippers are made with zippers. I was having fun experimenting. I'll break the kit up into two tutorials, the slippers on Monday, and the bag on Tuesday. You'll have plenty of time to whip one up for Mother's Day. Linked up to Under the Table and Dreaming. This one was awesome. I love the photo with the big grand piano too!! I will get excited about the tutorial, and hopefully motivated enough to make one! good job! Lovely Chris! I love the flip flops! What a great idea. Can't wait to see your tutorial. Look forward to the details!! !